What were the factors that led to Trump’s election? What are the possibilities under his presidency? How can the US working class start to play an independent and cohesive role in society? This is an attempt to start to sketch out some answers. 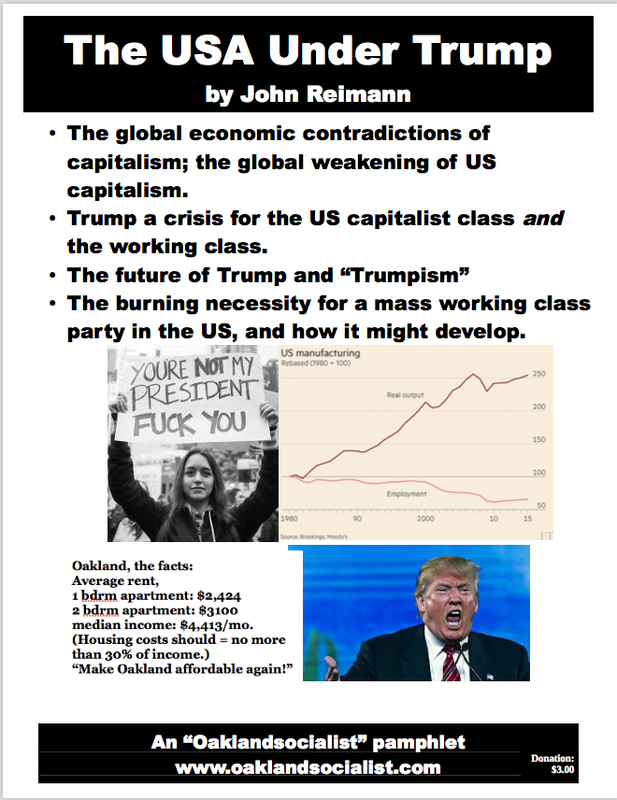 “The mainstream of the US capitalist class has partially lost control over their president, one who puts his own, individual financial interests ahead of the global interests of US capitalism. This means possibly the greatest political crisis for the US capitalist class since the US Civil War. In part, this loss of control flows from their declining influence in US society in general. Their plan – to install Jeb Bush as the next president (how quickly he’s been forgotten!) – crashed and burned before it could even leave the launch pad. Their fallback plan – to install Hillary Clinton – also fizzled.